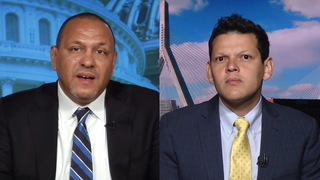 Shows featuring Iván Espinoza-Madrigal | Democracy Now! Executive director of the Lawyers’ Committee for Civil Rights and Economic Justice. His article for The Huffington Post, “Airports: The Next Racial Profiling Frontier,” outlines his recent detention at Boston’s Logan Airport despite his status as a U.S. citizen.